What is it? The new-generation Astra is a key model for Opel, but despite the company’s best efforts through the three-decade lifespan of this car, the Astra has always been a contender but never quite class-leading. Who is it aimed at? Designed to steal sales away from the Ford Focus or Volkswagen Golf is the fifth generation Astra the one to finally achieve that. Styling? Visually, the Astra is particularly impressive and has been carefully crafted to give it a dynamic presence on the road. Everything from the sculptured lines along the car’s side sweeping upwards at the back, to the wider yet slimmer rear lights combine to give it a more athletic appearance. Under the Bonnet? A choice of petrol and diesel engines is available. Fitted to our test car was Opel’s 1.0-litre three-cylinder, currently offered in both the Corsa and Adam, this is the engine that low-mileage buyers should certainly consider. It is refined, with lots of power, and unlike many other small petrol engines it doesn’t require constant gear changing to get the very best out of it. For diesel, you should consider the 1.6 litre with 110bhp which has impressive fuel economy and emissions figures. What about inside? The improvements are instantly noticeable and the complicated dash with the myriad buttons of old is a distant memory. The sophisticated layout is much less cluttered and the controls are far more intuitive to use. Much of this is due to the new 7 or 8 inch, depending on spec, touch screen that controls a host of key functions and is a huge improvement over the old car’s system. The new-generation IntelliLink infotainment system, which is compatible with Apple CarPlay and Android Auto is a welcome addition. The driver and front passenger seats are beautifully bolstered with an array of separate adjustments and memory functions. There is more than enough room for five adults but luggage may be an issue. The boot, at 370 litres, almost matches the 380 litres you’ll find in Volkswagen’s Golf and far exceeds the 316 offered in the Ford Focus, but the load lip is high and it is not very well shaped. On the Road? On the road, one of this car’s key attributes is how light it is. Opel has reduced the weight by up to 200kg and it makes a huge difference. It is sharper to drive, smooth and controlled and every bit as good as rivals. And Safety? The new Opel Astra is brimming with safety features, including the new intelligent IntelliLux LED matrix lights, which enable driving with glare-free high beams outside urban areas. There is also a host of driver-assistance and comfort systems available in this segment for the first time, such as the Opel Eye front camera that integrates with other systems, including a Traffic Sign Assist that combines camera-based images and information from the embedded navigation system to deliver more accurate driving recommendations and a Lane Departure Warning with Lane Keep Assist, that works by applying automatic steering correction in case a driver unintentionally veers out of lane. Options? 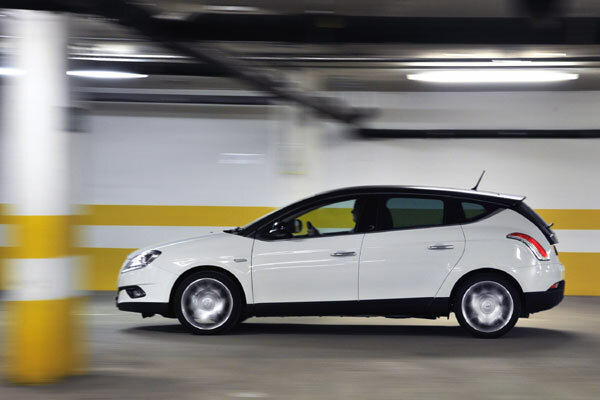 The Astra is offered in four trim levels S, SC SRi and Elite specifications and all are well equipped. Priced at €19,995, the entry-level trim includes Bluetooth, audio streaming, Hill Start Assist, and LED daytime running lights. Trade up to SC (€21,495) to add IntelliLink with 7-inch colour touch screen, steering-wheel-mounted controls and 16-inch alloys. The SRi trim on our test car starts at €24,495 and adds the OnStar system, automatic lights/wipers, an 8-inch touch screen, sports front seats, lane departure warning, traffic sign recognition, front fogs and 17-inch alloys. Will it break the bank? Opel claims that our test car will return 4.4 litres per 100km but I found it particularly thirsty, offical fuel figures are generated under ideal conditions and in contrast I found the fuel economy a little disappointing.